Democratic U.S. Sen. Claire McCaskill gave a defiant and emotional speech Thursday on the Senate floor as she said goodbye to politics. U.S. Sen. Claire McCaskill gave an emotional farewell speech Thursday, thanking her family, staff and supporters, but also criticizing the Senate, saying the legislative body has become dysfunctional. Since taking office in 2007, McCaskill noted some of the changes she’s seen. When she was elected, the Senate voted on 306 amendments, while this year there were 36, she said. In her speech, which last about 10 minutes, McCaskill acknowledged her years of service, opting not to focus on her accomplishments. Listen to Sen. Claire McCaskill's full farewell speech here. She praised her husband, Joseph Shepard, for his support, especially in light of campaign attacks on his business, and she thanked her children. The Democrat was unable to pull out another win last month in a tight race against Republican Josh Hawley. McCaskill, 65, told St. Louis Public in August she would not run for governor in 2020. 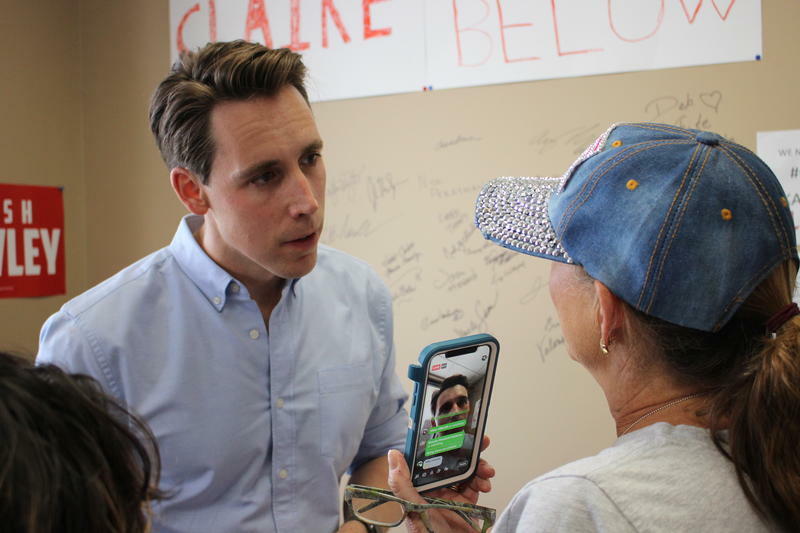 Hawley is set to join fellow Republican Roy Blunt next month when he takes office. Tuesday was a triumph for Missouri Republicans and a disappointment for the state’s Democrats. GOP Attorney General Josh Hawley continued his meteoric trajectory with his ouster of U.S. Sen. Claire McCaskill. Despite running a vigorous and well-funded campaign operation, McCaskill was done in by weak performances in Missouri’s rural and exurban areas — places where she’s traditionally thrived. Sporting a Cardinals T-shirt, Missouri Gov. Mike Parson stood in the parking lot of a strip mall Saturday in south St. Louis County to make his pitch to a crowd of local Republicans. His message? That President Donald Trump is relying on Missouri voters to replace U.S. Sen. Claire McCaskill with a Republican. Money wasn’t everything when it came to Missouri’s nationally watched U.S. Senate contest. Republican Josh Hawley is the state’s first Senate winner in decades to be dramatically outspent by the rival he defeated. And the Democrat who lost, two-term incumbent Claire McCaskill, set a huge fundraising and spending record in the state.